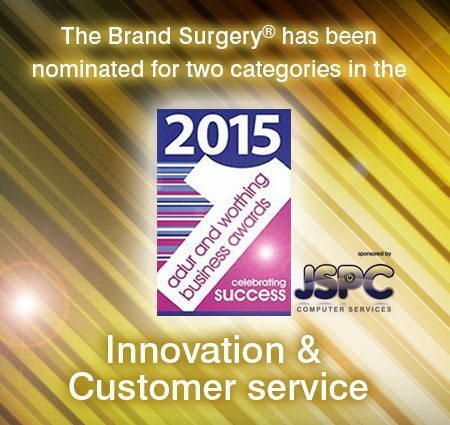 We are delighted to be finalists in the Adur and Worthing Business Awards in 2015 – under the Customer Service category. This is a huge pat on the back for us and recognises our continued commitment to our customers. We strive to create ‘experiences’ in a safe and caring environment, avoiding confusing jargon to those who are new to the world of brand management. Our team has considerable business and marketing expertise, spanning 15 years including a Chartered Marketer, membership of the Chartered Institute of Marketing (CIM Level 7), membership of the Institute of Leadership Management (ILM) and an ethos of continuous study and research. We believe this gives us the edge – and that means we can share this knowledge with our customers. We embrace the philosophy of Creating Shared Value which helps us to be innovative and exceed customer expectations. After all customer service is more than saying: “Have a great day”. It is about meeting customer needs. You can be polite as you like, but if the service or product you supply is not useful or effective, then customers will become frustrated. By living our values (we stimulate, we inspire, we improve and we venture) we want to continue to build and deliver on customer service excellence. So thank you to those who nominated us in the Adur and Worthing Business awards, this is a huge compliment! In 2015 we changed our slogan to “Building great brands from the inside out” because we now provide a complete brand management package. Our innovative culture now means that we are the only brand management company in the Worthing and Adur area with in-house Masters’ level Brand Management, Marketing Strategy and Executive Coaching and Mentoring expertise combined with award-winning creative skills for communicating your inner strengths. Having researched how important leadership style is to innovation, we find that a leader can make or break an innovative culture. By offering executive coaching and mentoring we can help our customers to build/enhance relationships with their staff to overcome the stumbling blocks that may be preventing the strengthening of their brands. This empowers business leaders to also become innovative because they adopt more trust and let staff use their own unique and specialist skills – freeing them up from no-longer-relevant red tape. What else makes us innovative? We continually research and study industry changes and trends (STEEPLE – Social, Technological, Environment, Economic, Political, Legal and Ethical) which helps us to be flexible, increasing our competitive advantage. We also help our clients to be flexible and adapt their products and services accordingly, for example, one of our clients hadn’t been aware quite how much cloud technology would affect his business. Once we helped him to understand, he was empowered to be innovative and embrace technological change. We also help clients to use their customer segmentation upon customer behaviour, which of course is always changing. By adopting our marketing segmentation expertise, many of our clients have enjoyed an instant response to their email campaigns. Continuous innovation is the lifeblood of an effective and impactful business strategy, and as you can see there is more than one way to be innovative. Innovation and customer service are intrinsically linked – you can’t have one without the other. We lead by example and adopting an innovative culture, we are able to help our clients to become and remain innovative. 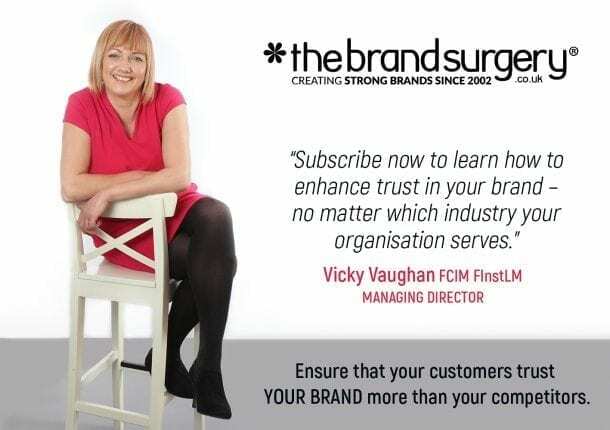 Call us on 01903 824229 or email vicky@thebrandsurgery.co.uk for a confidential chat about how we can help your business to adopt an innovative culture though our combination of coaching, consultation and creative communications. We look forward to hearing from you.